You’re sitting there on the edge of the mats, mouth guard at the ready, eying potential rolls. To your left a tiny, shy voice breaks in: “Hey, uh, you, uh, you wanna roll?” It’s a new guy, eight weeks into training, looking meek. “For sure!” you say. He doesn’t know what he’s doing yet, but he’s only about 160lbs, won’t be too bad, right? Let him work, you’ll work on your defenses. You slap, bump…and suddenly he grabs your wrist and throws his body into yours in his best attempt at a guard pass. You’re struggling to control him while you eat knees and elbows to the face, chest and shins, fending off every ounce of strength and exertion he can muster. 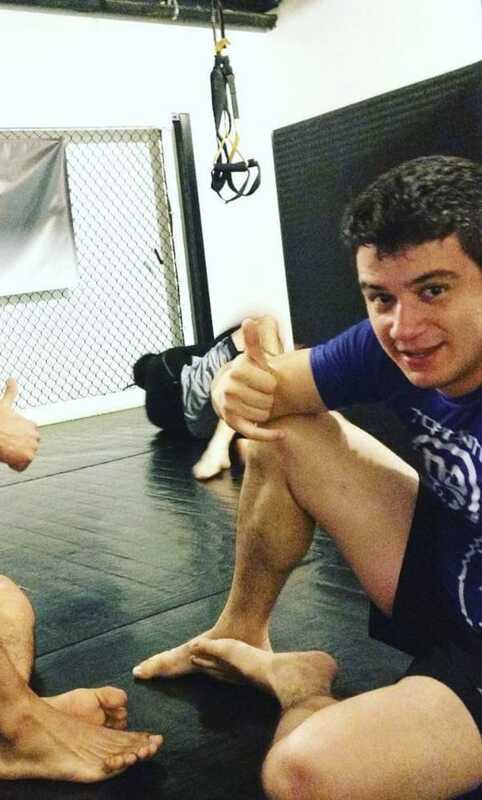 This guy is going H.A.M on you like you’re in the finals of No Gi Worlds, knowing the deed to his house and his first born son are yours if he loses. He’s holding onto anything within reach, reefing on every joint in an attempt to get some kind of submission out of you. You’re not having much fun at all. You decide to turn it up in the hopes he might get the picture that he’s going too hard. Nope, he goes harder, with even less thought about where his limbs end up. You’ve set up an armbar from mount, but he’s bucking wildly trying to get out. That arm is yours, but during his little freak out- which can only be compared to a cat trying to escape from a burning pillowcase- his hand suddenly slips from his defense, and only the control you’ve learned over the years saves his elbow from pointing the wrong way. Mazel Tov, you just rolled with a White Belt Spazz. Dress your wounds, be thankful for a good cup or mouth guard and try to forgive him, knowing you probably did the same thing when you first started. 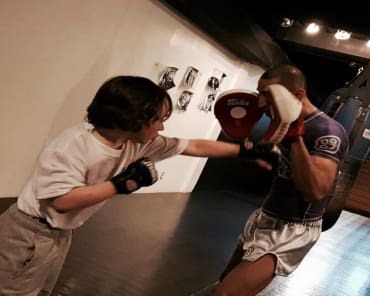 The White Belt Spazz is ubiquitous in every gym, primarily because inexperience and pride go hand in hand (see Lesson #3 for more on this), and there’s always someone new on the mats. I don’t mean this in a condescending way, it’s just a fact of life; we don’t know what we don’t know, but dammit, we’re not going to lose. After a bit of time on the mats, almost everyone learns to slow their roll down, use more leverage than strength, seize the opportunities available and tap when caught. But most folks who are new don’t understand the mechanics of Jiu Jitsu yet, don’t want to lose and often roll way too hard, hurting themselves or their partners in the process. This can lead to the Spazz having a tough time finding someone willing to roll with them and sometimes even hard feelings. So how can you avoid being the White Belt Spazz? It’s a pretty simple three-step process: Slow down, relax, lose the pride. Let’s break it down. Slow down: This is pretty straight forward. I could get all preachy and talk about how much more you will learn if you take your time, but in the first formative months of a white belt’s journey, slowing down is more of a safety issue than anything. I remember once trying a no gi torreador pass when I was still quite new. I had an idea of how it worked, but all I managed to do was this weird wobble from side to side, slipped forward and smoked my face on my partner’s knees. In my head I imagined my coach beaming down at me in approval for my skill and speed. In reality, I just bit my tongue and got triangled for my troubles. Similarly, you’re going to do a lot less damage to your rolling partner when you slow down and quit flailing wildly. You’re a long way away from being a BJJ great, so explosive movements aren’t going to work for you yet. Chill out and master control before you work on speed. Shooting a leg through to catch a straight ankle is a really great skill to have, but you’re not making friends in the gym if 7 out of 10 times you wind up violently gas-pedaling your partner instead. Slow. Your. Roll. Relax: This goes along with slow down, but has it’s own special place. A couple weeks ago I was drilling with a young man who was so tense that I though the guy was going to vibrate into another dimension all together. He held onto my arms like a vise grip, and even when he wasn’t engaged I could see the muscular stiffness in his whole body. By the time he was done his second rep, he was breathing heavy and sweating profusely. When my turn came, he was so stiff and resistant that I couldn’t work through the technique properly. Quietly in my head I resolved to drill with someone else next time, and myself being a bit on the smaller side, I totally wrote him off as a rolling partner until he relaxes more. But I understand! I was datch guy. I had to be reminded to breathe, sometimes. Tenseness is tiring. You’ll gas out in no time. Practice an economy of energy as often as you can. Breathe slowly, control your exertion as well as your emotions. I try to imagine myself as a large predator in an environment with few opportunities to eat, and all my prey is fast. If I use too much energy on the wrong thing I may starve to death if I fail to catch what I’m chasing. This is especially important to keep in mind for larger people who only have so much in their gas tank. Relax, use your energy strategically and use your muscles wisely. Last but not least, lose the pride: This is hands down the most important part of de-spazzing. Arguably, pride is the single largest contributing factor to the Spazz, but it’s the hardest to conquer. We want to be good at what we do, and this drive is magnified in competitive, athletic environments. I’d be lying if I said I never imagine my superiors talking about how much of a natural I am at jits, how I ‘just get it’ and so forth. In reality I’m pretty average, but I want greatness, and my inner dialogue can trick me into thinking greatness can be mine if I just give it my all and mimic the superstars on the scene as best I can. I’ve seen naturals, but trust me when I say they’re only slightly less rare than a unicorn that speaks perfect Klingon. The rest of us have to settle with earning first our mediocrity, then greatness through good old fashioned grind. Don’t settle for mediocrity, but don’t force greatness, let it come. Accept that you’re going to be not-very-good until you learn to be good. The sooner you embrace this, the sooner you can bust down the mental wall that’s blocking you from seeing your true skill level, and where you need to put work in. The White Belt Spazz, in its natural habitat is a curious beast to observe, and formidable to encounter. If you’re the spazz, just slow down, relax and check your pride. If you find yourself facing a spazz, be patient and honest. Tell them politely they need to slow their roll and help them, don’t alienate them. I’m pretty sure from time to time I still throw a careless elbow or knee, but I do my best to try and check myself when I get carried away.